Photo courtesy City of Brenham. Substantial shifts in the way we address our built environment have been underway in recent years. Led by an explosive growth in our sensitivity to the environmental impact of buildings, we are considering not just how they perform as individual buildings, but also how they interact with the greater urban fabric. Contextualism may not be an especially hot topic within the design realm, but it does appear to be an important component of the matrix in which our buildings are now evaluated. Urban design, street presence and engagement, walkability and access to transportation options, proximity to jobs and services, and housing options, especially affordable ones, often dominate the considerations. As does, of course, the money. At least equally relevant to these urban considerations, but perhaps less widely recognized, is the role of historic buildings. This is ironic, given that existing and historic buildings are so common. What older urban area, or what small Texas town, doesn’t have at least one culturally important, architecturally interesting, but woefully underutilized historic building? The answer is very few. In fact, there are commonly multiple buildings that fit this description in any community. These buildings are often dearly beloved and are the benefactors of building-specific nonprofit organizations, which stage bake sales, print calendars, hold benefit concerts, and initiate other efforts to jump-start the buildings’ economic viability. Their goal is to return these buildings to some service that benefits the community while at the same time providing funds for their ongoing maintenance. There are many such success stories, but so very many disappointments for each documented success. It seems that the shifts mentioned earlier are swirling through our historic building stock also. The desire for better urban engagement among the users, the buildings, and the public realm often reveals that we may have been better at those techniques in the past, and that these remaining historic buildings remind us that they are, in fact, well adapted to these modern desires. Similarly, we are increasingly aware that existing buildings represent energy already expended, so that the most environmentally responsible approach is to profit from that expenditure by continuing to use the building. Even many of our modern efficiency techniques — such as daylighting, natural ventilation, shading of openings, and sensible site orientation — all have their origins in the realities of building construction during a time before we had sophisticated environmental systems. Even the no-nonsense world of building codes has seen fit to recognize that existing and historic buildings still have beneficial use, but that it is not realistic to hold these older buildings to new building standards. Whereas only a few years ago provisions for existing buildings were relegated to a single chapter in the International Building Code, the 2015 IBC code family has eliminated that chapter altogether and instead now relies entirely on a freestanding International Existing Building Code. While the recognition and use of historic buildings seems to be on the rise, it is premature to suggest that we have developed a culture of preservation here in Texas. Although I like to think we are making good progress in that direction, impediments remain. Perhaps primary among them is the perception that working with historic buildings involves a mysterious, draconian process that interjects costly restrictions and potential project delays. 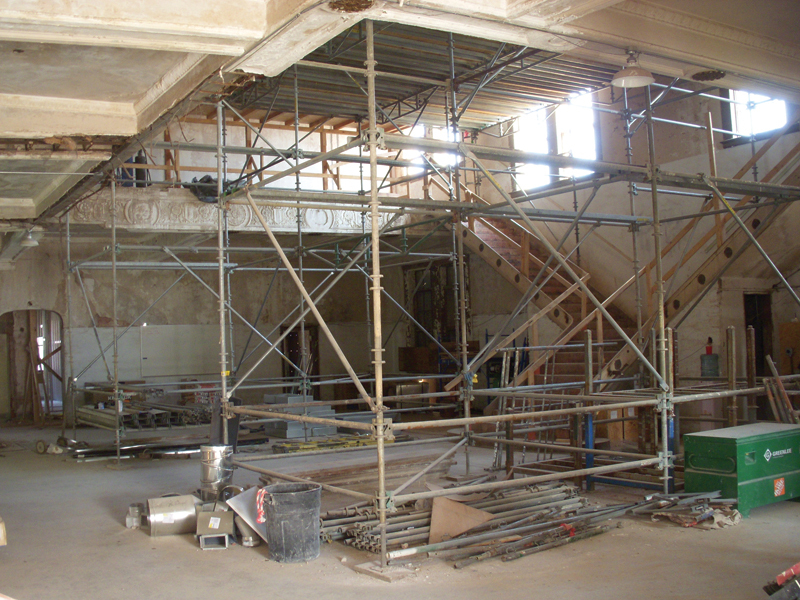 While there is no doubt that historic preservation’s techniques are often unique within the design and construction industry, much information is available to make navigating these requirements worth the effort. Of the changes in techniques and attitudes we have seen recently, perhaps none are so powerful as the financial incentives currently available for historic buildings. The Federal Historic Tax Credit program has been around since Lyndon Johnson’s administration, but has only gained real traction in the past 25 years. At this writing, the program has just survived the Federal Tax Overhaul of 2018 and continues, with only minor modifications. There has been testimony to its effectiveness and support across the country. Texas, in fact, has long been a hotbed for this program. In November 2016, the National Trust for Historic Preservation published a report outlining the particularly robust use of these tax credits in the state, documenting more than $184 million in tax credit assistance to projects between 2002 and 2015, based on a credit of 20 percent of the value of the improvement on successful projects. 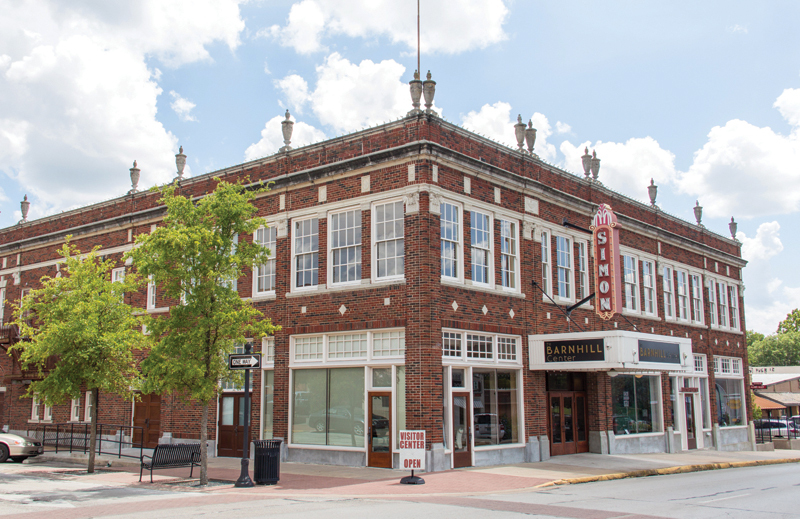 The most dramatic recent development, however, has been the rolling out, in 2015, of the Texas Historic Preservation Tax Credit Program. Designed to be easier for use on smaller projects, it has proven to be wildly popular across the state, providing a tax credit equal to 25 percent of the qualified expenditures on historic projects. Despite the common perception that historic preservation is expensive, the combined economic assistance of these two programs takes care of 45 percent of the project costs, an amount that is difficult to ignore. The historic preservation/historic tax credit programs are not hard to understand, but do tend to be counterintuitive to the way we approach new construction. The following explanations will shed some light on the process. Known commonly only as “The Standards,” this document grew out of the Historic Preservation Act of 1966 and is the basis of modern preservation practice. It is only a single page in length, but outlines 10 concepts for proper preservation of a historic building. All tax credit projects are evaluated against the provisions included in The Standards. It should be noted that these are guidelines, and not detailed provisions like those found in building codes and zoning ordinances. You might think of The Standards as a “what-to” instead of a “how-to.” Due to their brevity, the effective application of The Standards today owes a great debt to how they have been interpreted and applied in the past. This can be troublesome for the design professional who is new to the process, but help is readily available in print, online, through your local AIA chapter, through TxA, and in the offices of the Texas Historical Commission (THC). Part 1 is the initial application for the Federal Historic Tax Credit Program, and Part A is the corresponding application for the Texas Historic Preservation Tax Credit Program. This step is known as the Evaluation of Significance, where research is conducted and documentation compiled that demonstrate that the building is legitimately historic. For many, this is the most foreign and esoteric step in the tax credit application process, because the depth of research and the standards for documentation are rigorous. This step includes the development of a historic context, which studies the socioeconomic factors in play at the time of the building’s construction — in other words, what was happening at the time that shaped the development of that building. An important concept contained within The Standards is that historic buildings are a product of their time, that they embody not just the available technology of a different era, but also reflect the social and economic priorities of that community. One of the most important goals of a historic preservation project is to identify and preserve the features that reflect those unique characteristics, commonly referred to in “preservation-speak” as its character-defining features. It is this goal that has led some to borrow the old “garbage in/garbage out” metaphor from the early days of computers: The quality of the restoration is directly related to the quality of the research and documentation compiled at the beginning of the restoration effort. Suffice it to say, you cannot make good renovation/restoration decisions without good research. The fact that original construction documentation is rarely available only emphasizes the importance of consulting other available sources of historic information. On the surface, this step is self-explanatory. It is composed of a fairly detailed description of the proposed rehabilitation work to be done. Through the use of photographs, copies of available historic documentation, narrative, and construction-document level graphics, the current condition of major building systems and other details are documented alongside the proposal for how they are to be treated during the rehabilitation. The Part 2/Part B application is most readily developed in parallel with the design development, although it will likely need additional information from the construction document phase. The trick to a successful Part 2/Part B application is to catalog these building systems and details at the beginning of the design. For the Federal Historic Tax Credit program, the THC is the gatekeeper for the application process, even though final approvals of all three phases of the application must be given by the National Parks Service. Through a formal interagency agreement, the THC has the authority and the responsibility to review and comment on all federal program applications, and will require that they be satisfied with the applications before forwarding them to Parks for final approval. Many applicants find it highly beneficial to meet with the THC early in the design portion of the project, in order to give THC a feel for the overall approach on the rehabilitation and to receive guidance on what to expect from the application of The Standards. This process is very much like Part 2/Part B, except it is done once the rehabilitation work is complete. In most instances, you simply take the descriptions of the proposed rehabilitation and substitute photographs to demonstrate that what was done was indeed what was proposed in Part 2/Part B. Approval of this is a foregone conclusion, if the work done matches what was previously proposed. The submission of this final part of the application process, however, is no place for surprises. During the construction phase, any proposed deviations from the work described in Part 2/Part B should be addressed with the THC as soon as it is discovered. An important characteristic of historic projects is the reality that, once historic fabric is lost or destroyed, it cannot be replaced. Even if replicated, the replacement is new material and not historic. It is important to strive to avoid work that does not conform to The Standards, so as not to find out, after the fact, that you have been disqualified from the historic tax credits and that there is no way to correct the problem so that these credits can be restored. 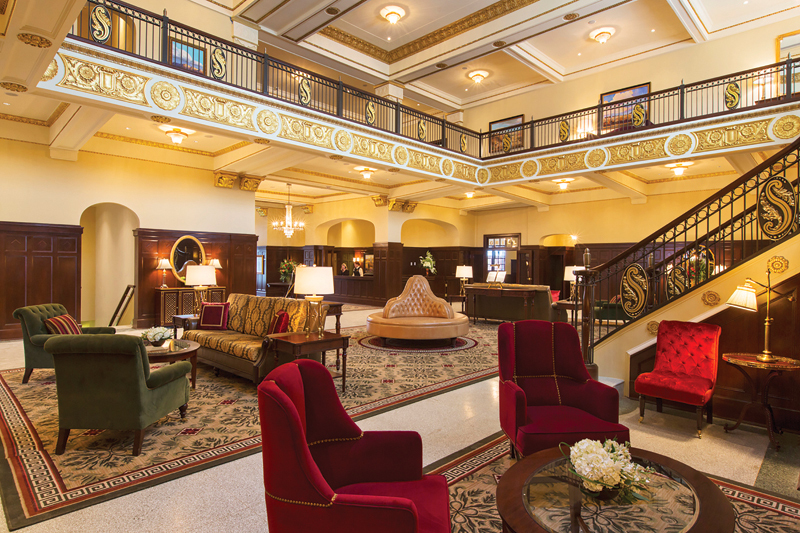 Historic buildings are a valuable component of our urban fabric, financially and culturally. 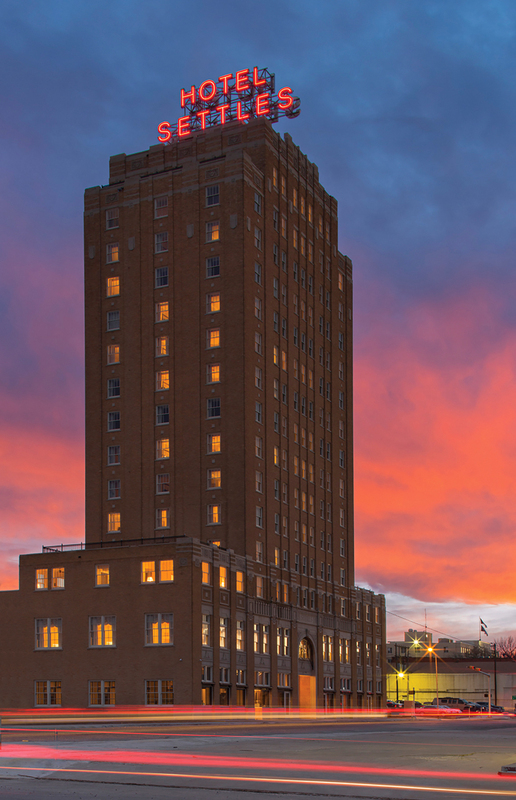 Whereas new buildings are disproportionately located in urban areas, historic buildings remain and contribute to the function and character of virtually every town of every size across Texas. They are our state’s most accessible architecture. We are fortunate to have powerful financial incentives that are equally accessible. Norman Alston, AIA, is a preservation architect in Dallas.